I am a desktop environment hopper and like to tweak around. Here is my current configuration, feel free to share yours. I encourage you to share your desktop in unixporn on Reddit. > I am a desktop environment hopper and like to tweak around. > Here is my current configuration, feel free to share yours. 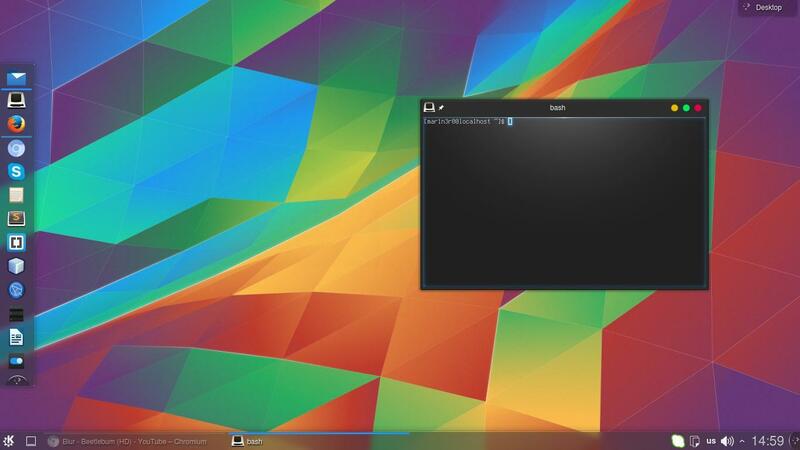 How did you install KDE5 onn volidlinux? Help. idea for increasing adoption. I'll post mine soon. > I encourage you to share your desktop in unixporn on Reddit. > > I am a desktop environment hopper and like to tweak around. > > Here is my current configuration, feel free to share yours. I am actually moving to the official Void forum. It's actually KDE 4.14 with the plasma wallpaper and Kwin effects. > How did you install KDE5 onn volidlinux? Help. >> I am a desktop environment hopper and like to tweak around. >> Here is my current configuration, feel free to share yours.